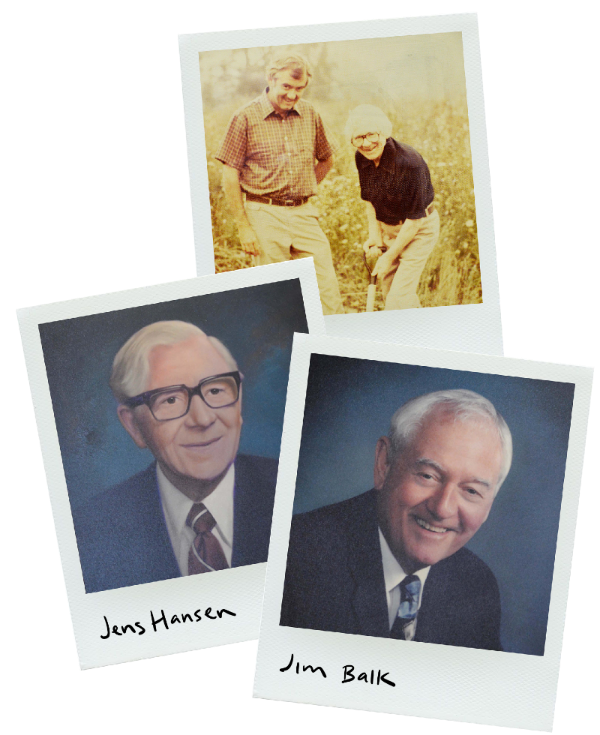 Jens Hansen founded J. Hansen Steel Treating Company in 1955 after seeing a void of quality heat treating in West Michigan. Jens immigrated to the United States when he was 27 years old and after 20-some years in the burgeoning automotive industry, decided to strike out into business for himself. From the early days of the business, Jens fostered a passion for helping his customers and built a culture of doing whatever necessary to satisfy his customers’ requests. He would often load up the trunk of his Ford Thunderbird with stacks of treated steel and drive them to Lansing himself during the day. Jim Balk joined Jens just a few weeks after the company was launched, and the pair continued to build the business, changing its name to Hansen/Balk Steel Treating Co. in 1973. Hansen/Balk has remained a family-owned business through the years. Today, Jim’s sons Martin and Steven continue to operate the company under the same principles Jens and Jim founded the company on decades ago—a firm commitment to servicing their customers and taking pride in a quality product.